At least once a month, I get a question (sometimes officially and sometimes casually) about some framework or another that has been popularized in some way or another and has become the latest “thing to know” on the job. That’s not to imply that the creation of these frameworks is at all a bad thing. But when companies adopt any one of these models as the “framework du jour” and restructure their entire organizations around it, I have to question whether this is more for the benefit of the companies or the benefit of the consultants who guided them down that path. But more on that in a bit. 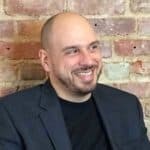 All in all – a solid theory, and a nice twist to the very similar concept of looking at customer needs over product features. If you’ve studied marketing in any capacity, you’ve probably heard the famous quote from Theodore Levitt’s book The Marketing Imagination that states “People don’t want to buy a quarter-inch drill, they want a quarter-inch hole.” In other words, think about what problems people are trying to solve, and then build (and market) products around solving those problems rather than the other way around. JTBD is actually a very similar theory with an equally clever analogy to go along with it. Which certainly makes it useful, but might not make it altogether new. And therein lies the controversy. Like many of these theories and frameworks, the concepts themselves may not be quite as original as the catchphrases that are created to describe them. 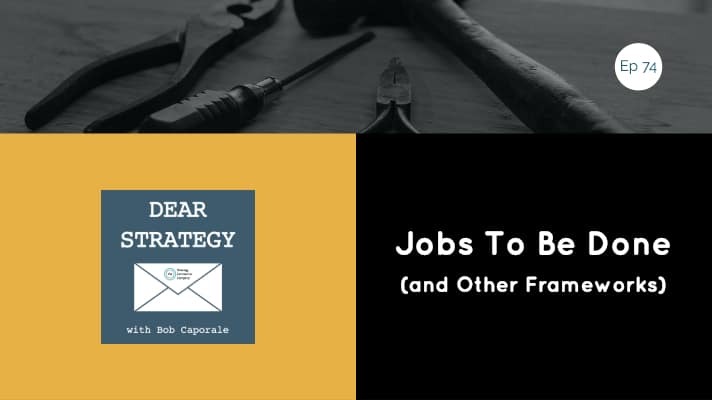 Don’t get me wrong, when someone comes up with a clever new way to describe something, as is the case with “Jobs To Be Done,” it tends to stick because the analogy behind that description is memorable, relatable, and fun. But that doesn’t mean the theory behind it hasn’t been talked about and even studied before – sometimes formally and sometimes just intuitively. Which is probably why multiple thought leaders have since laid claim to having been the first to come up with some form or variation of this particular theory. Fortunately for me, I’m not really qualified to get in the middle of that debate, but a quick Google search on “Jobs To Be Done” will inevitably lead you down that rabbit hole should you choose to go there. And this same story has been repeated any number of times for any number of different frameworks and associated catchphrases that have been developed over the past 50 years. Because, in the end, there are a lot more books and frameworks than there are actual ways of doing things. So, it’s up to us, as individuals, to choose the ones that resonate with us the most, and apply them as we see fit to achieve real business outcomes – not because someone told us to, but because they really work in whatever situation we choose to use them. The point I’m trying to make here is that all of these frameworks are simply tools in your toolbox, and a singular tool should, at least in my opinion, never serve as the basis for an entire company culture. 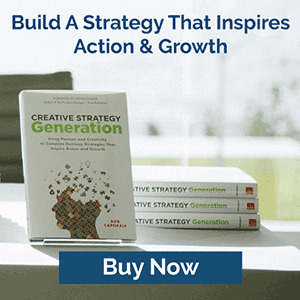 All too often I see leaders take the latest business book, theory, or framework, and treat it as the singular solution to all of their respective company’s problems. The end result is that employees become so dependent on that one tool, that they never explore any possibilities or options outside of it. Ironically, a core part of the JTBD framework is that customers will hire the right product to do the right job. Well the same thing applies to using frameworks. There is no one size fits all solution, nor should there ever be. 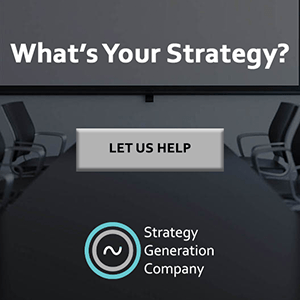 So my answer is – the best way to operationalize the Jobs To Be Done framework into your everyday strategy work is to use it only where and when it is applicable for the actual job you are trying to do. Hire it only when necessary, which is when you are trying to understand what problems your customers are truly trying to solve. And just like any other hiring decision, make sure you evaluate it against any other tools (like user stories, personas, customer journey maps, or just a good old-fashioned customer needs analysis) that you may want to hire to do the same job. In that way, you’ll be applying the Jobs To Be Done framework only to the actual jobs you need it to do. Now how can you argue with that?